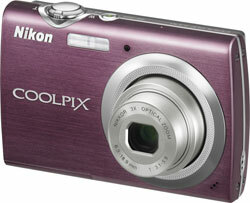 Buy-n-Shoot has reviewed the Nikon Coolpix S230 digital compact camera. This Nikon camera features a nice 3″ LCD touch screen. Buy-n-Shoot ends up giving the Nikon Coolpix S230 a “Gold” rating as the camera produces pretty good pictures for a camera in this price class. The pictures could be sharper, but they work for uploading to the internet. The S230 looks like a nice budget camera with a good looking design. Read the full review of the Nikon Coolpix S230 here.